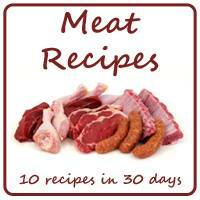 September is Meat month for my Blogger Recipe Challenge group and I have a great line up of recipes to share. From pulled pork to stir fry to enchiladas, I've got something for everyone! This chicken alfredo pizza is a favorite in my house, especially for my oldest son. He loves my homemade pizzas! It's super simple to throw together and makes a great weeknight meal paired with a nice salad. I actually use the Pioneer Woman's dough recipe. It's quick and easy to make and just takes an hour or so to rise. You can find her recipe here. Make your pizza dough and let it rise for at least an hour. (If using frozen pizza dough, make sure it is thawed out completely) Preheat the oven to 500 degrees. While the dough is rising, cook the chicken. Sprinkle both sides of the chicken breasts with the garlic and herb seasoning generously. In a medium skillet over high heat, cook the chicken until you get a nice crust on one side. Flip over and repeat on the other side. Once the chicken is nice and brown on both sides, add the chicken stock to the pan and cover. Cook for approximately 15 minutes, until the chicken is cooked through. Set aside to cool. Once your dough is ready to go, roll it out on a floured board until it's reached your desired thickness and shape. (There is no right or wrong here, this is your creation!) Move your dough to a pizza stone or baking sheet. Slice the cooled chicken into thin strips. Spread the Alfredo sauce on your pizza dough, then lay the strips of chicken on top of that. Sprinkle the Italian cheese over the pizza, then the Parmesan cheese. Sprinkle oregano and red pepper flakes all over the top, using as much as you like. Bake the pizza in the oven for 12-15 minutes. Watch it carefully as ovens vary and you don't want it to burn! Remove the pizza from the oven and allow to cool for 5 minutes before slicing. Serve with additional Alfredo sauce for dipping, if desired.